Offers a fresh and provocative analysis of modern Ireland presented by a new generation of scholars. 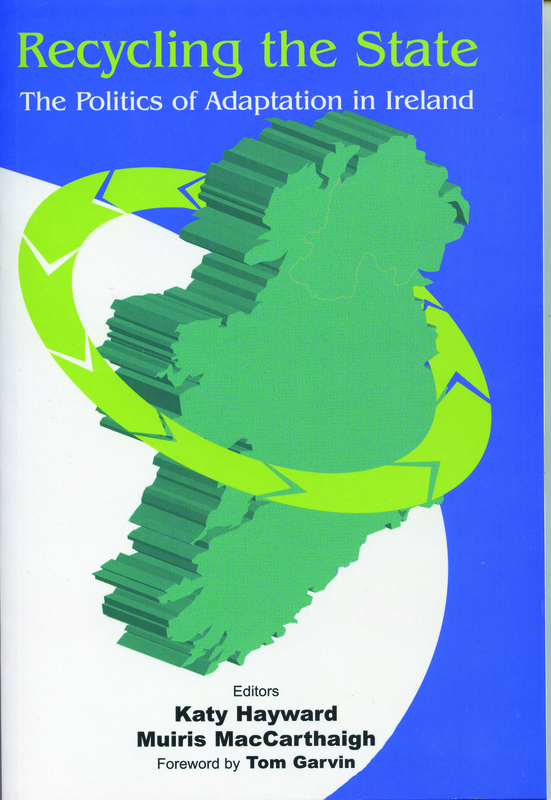 There are three key dimensions to this adaptation or ‘recycling’: definition of the state, representation by the state and participation in the state.The authors explore these dimensions in relation to selected critical issues in contemporary Ireland including minority rights, voter apathy, the Irish diaspora, cross-border relations, and democratic accountability. The book explores the processes of continuity and change that have forged the nature of the state in Ireland. In doing so, it offers a fresh and provocative analysis of modern Ireland presented by a new generation of scholars. The book’s unique contribution to analysis of contemporary Irish politics is enhanced by its interdisciplinary nature, as the authors traverse the boundaries between different schools of thought in order to present a constructive text to a wide readership. The main theme is that recent change in the Irish state is best understood as part of a continual process of adaptation or ‘recycling’. This process involves cognisance not only of the legacy of past outlooks but also visions of the future, as well as the immediate interests of the political elite. There are three key dimensions to this ‘recycling’: definition of the state, representation by the state and participation in the state. The authors explore these dimensions in relation to selected critical issues in contemporary Ireland including minority rights, voter apathy, the Irish diaspora, cross-border relations, and democratic accountability. Together, their analysis of detailed and original empirical evidence illustrates that, contrary to conventional wisdom, the Irish state of the twenty-first century embodies remarkable continuity in a context of profound and unprecedented change. Dr Katy Hayward is an IRCHSS Government of Ireland post-doctoral research fellow at the Institute for British-Irish Studies, University College Dublin. Dr Muiris MacCarthaigh is a Research Officer at the Institute of Public Administration.